The Google Cardboard Virtual Reality viewer is one of the most internationally and local sold virtual reality units available. The Google Cardboard Version 2 headset offers some great improvements over the first Google Cardboard that was introduced in 2014. The Google Cardboard as its name suggests is made of cardboard. It also consists of two spherical lenses providing the optics for it. The Google Cardboard works with your smartphone to transform it into a powerful virtual reality machine. The version 2 of the Google Cardboard comes assembled and with a protection sleeve that you can use to protect your Google Cardboard unit against wear and tear when you are not using it. 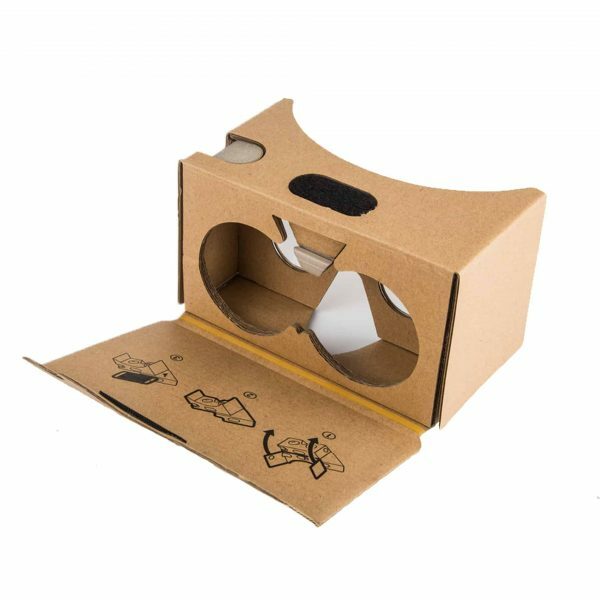 Another improvement to the Google Cardboard version 2 is the fact that the cardboard is treated to resist sweat stains on the device.